Ideal for cheese, grapes and biscuits, these cheese boards are also a fantastic way to display desserts or even appetizers. Each cheese board can be written on using standard chalk (which can be wiped off later), so is fantastic for adding a personal touch to a meal. Why not personalize each cheese board with each guests name as a unique place setting at a dinner party? 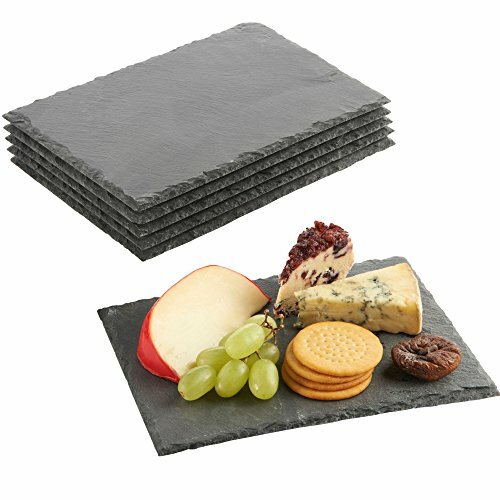 Alternatively each slate board could also be used to hold a different cheese on a buffet which can be then clearly labelled. Stylish and elegant, the VonShef Set of 6 Mini Cheese Boards are the perfect addition to any kitchen or dining room.